A classic fitted long-sleeved shirt with delicate frill detail across the chest, vertical pleats down the front and a three button cuff. The Anita shirt is tailored to be close fitting so if you like a lot of ease or if you have a full bust, choose the next size up. The length from the highest point of the shoulder to the hem is 59cm. Our model is 5'1" and is wearing a size 8. To ensure this garment fits you perfectly, please refer to our size chart. 100% COTTON. 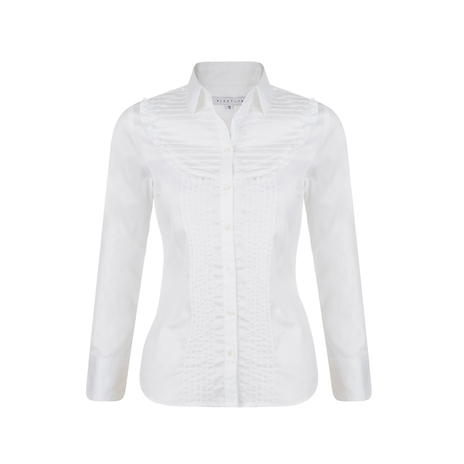 Anita is made from beautiful Italian two-ply cotton and has a silky feel which will last from wash to wash. COMMENTS : Perfect sizing. How wonderful to buy something where the arms and shoulders are the perfect fit. The shirt is a lovely crisp white. I am hoping it will wash and iron well. I'm delighted to have found this website and will use it a lot! 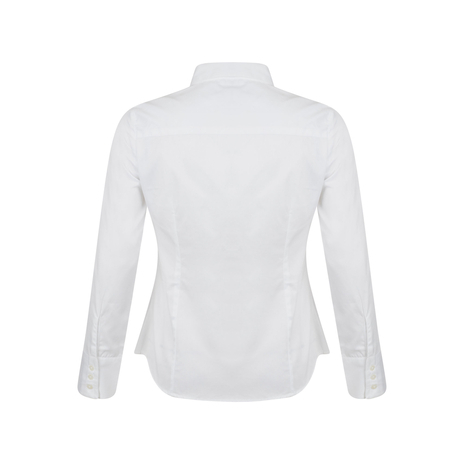 Anita adds a feminine touch to the common white shirt and looks perfect tucked in with a pencil skirt or a pair of wide leg trousers for work. Versatile out of office hours, why not put on a tailored jacket and dark jeans with a chunky necklace to achieve celebrity style. 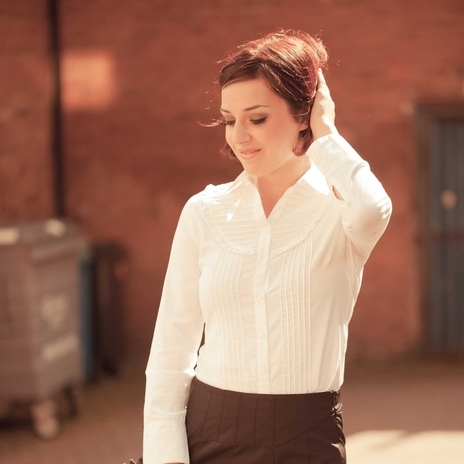 Click here for inspiration to see how we styled this shirt.